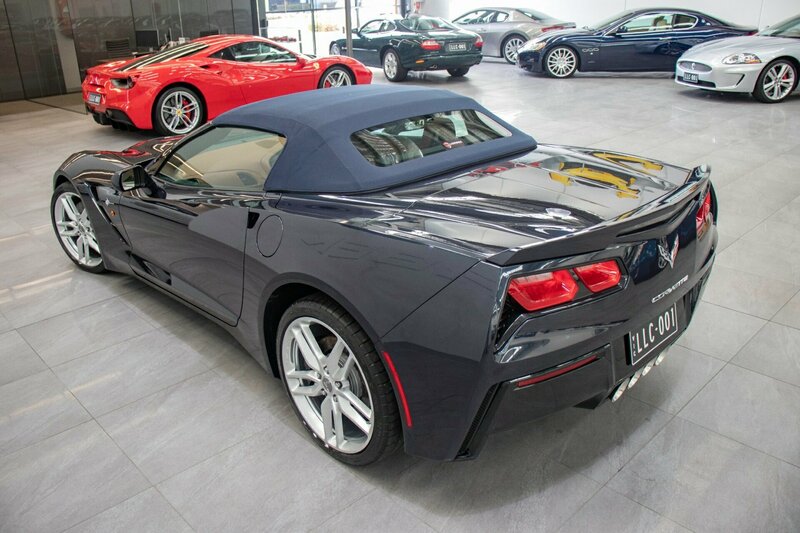 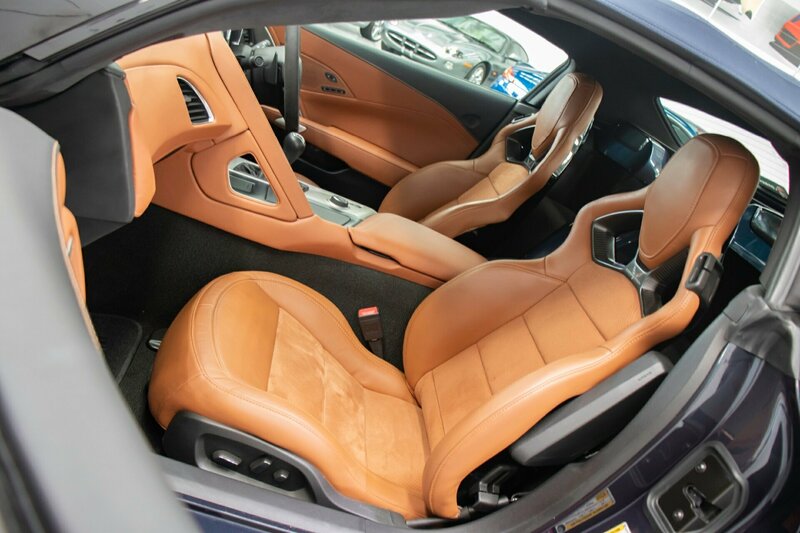 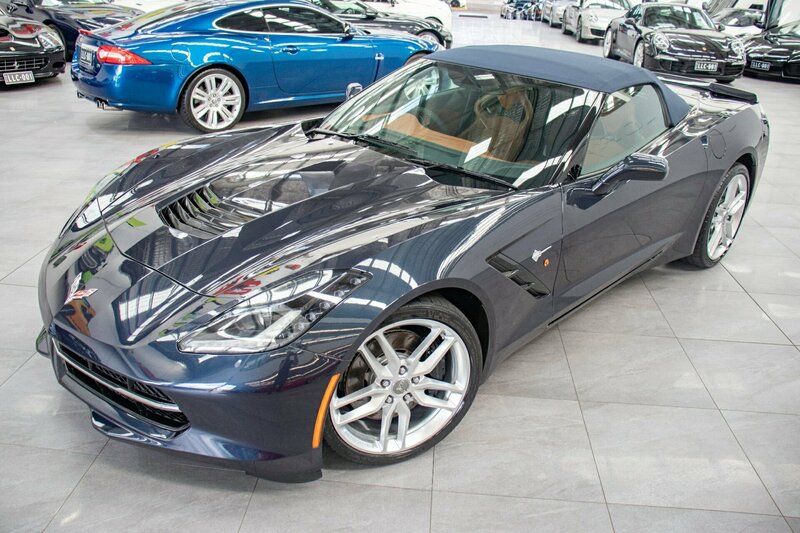 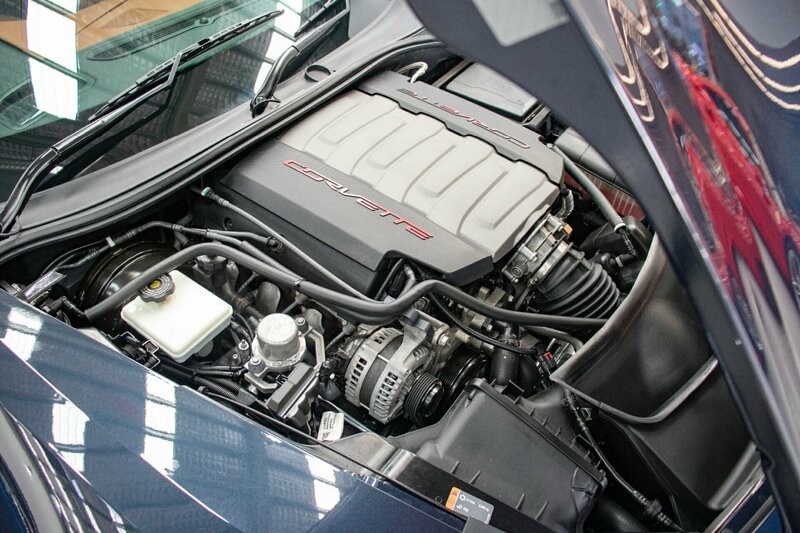 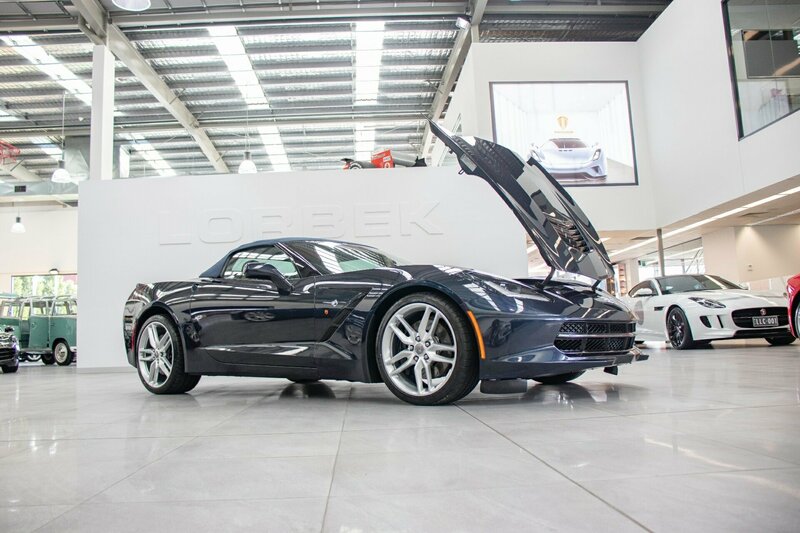 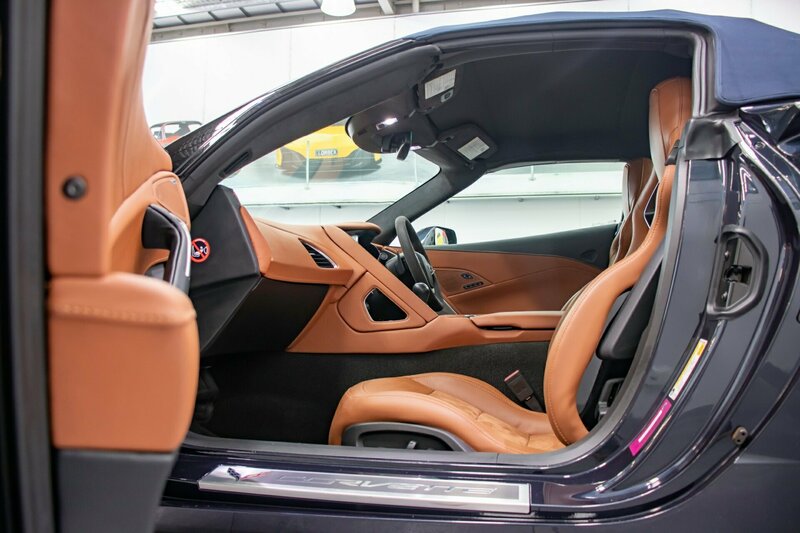 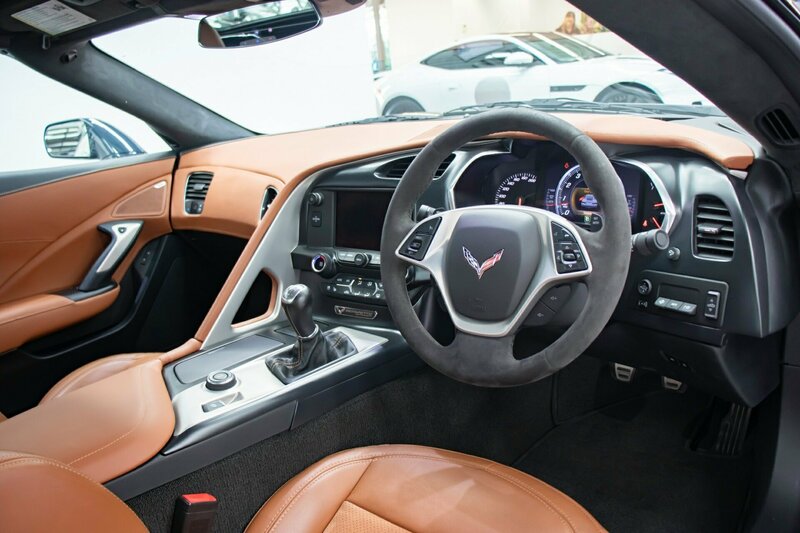 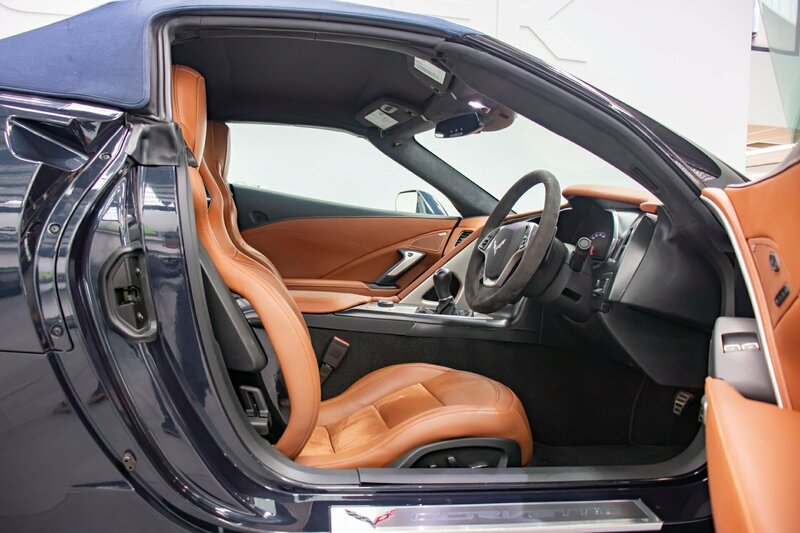 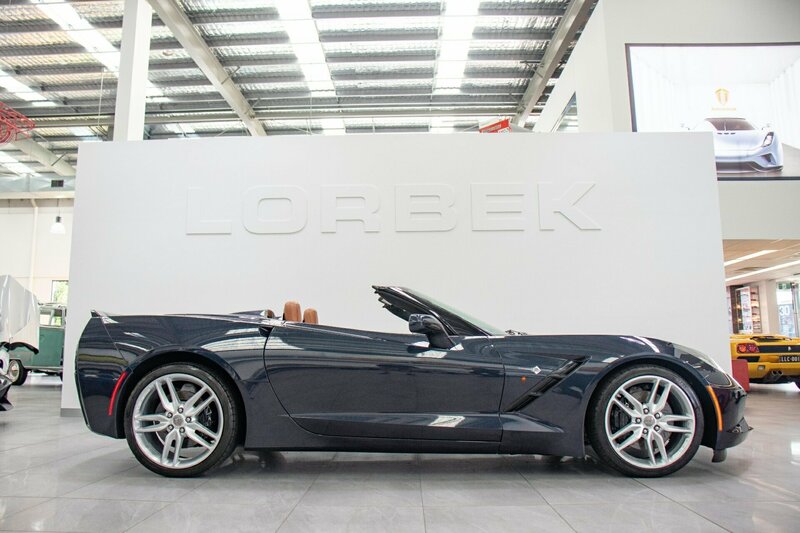 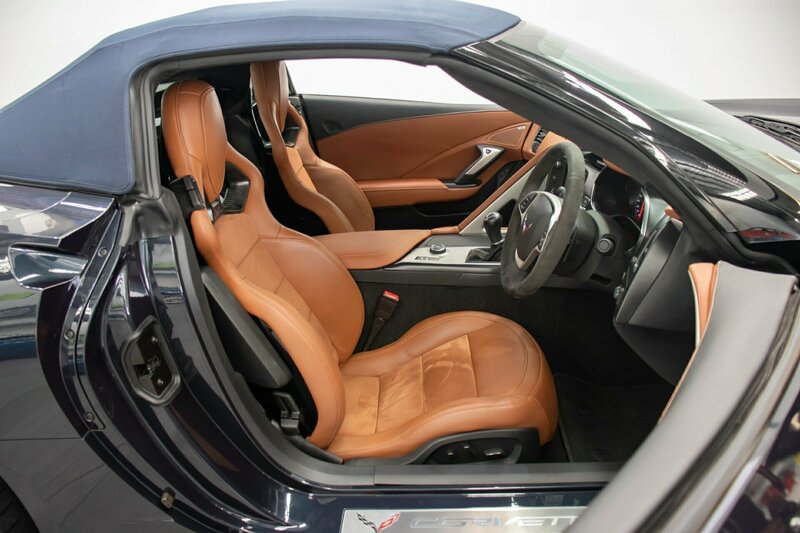 CHEVROLET CORVETTE STINGRAY Z51 C7 3LT CONVERTIBLE 2014 6.2L V8, 7-SPEED MANUAL, showroom condition and only 29,416kms, this is in virtually new car condition. 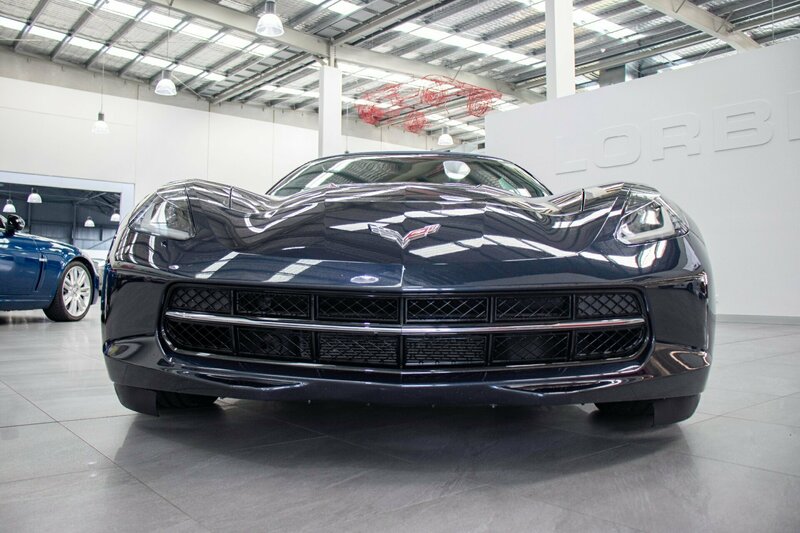 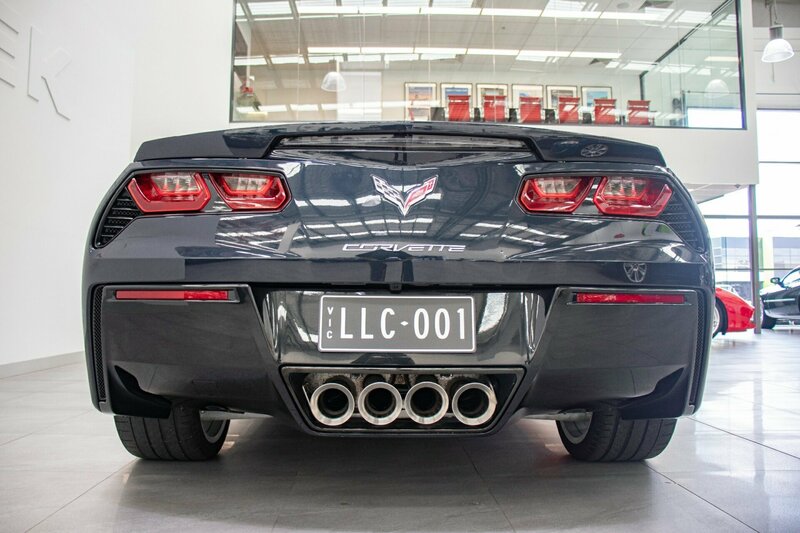 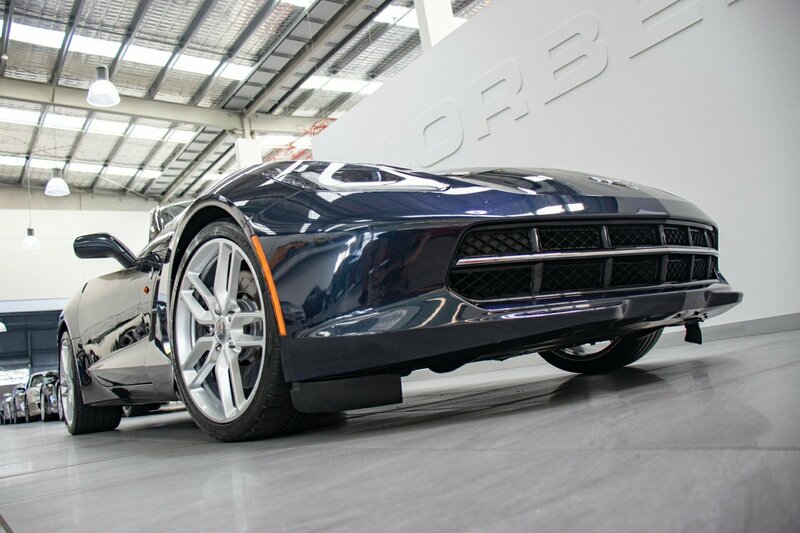 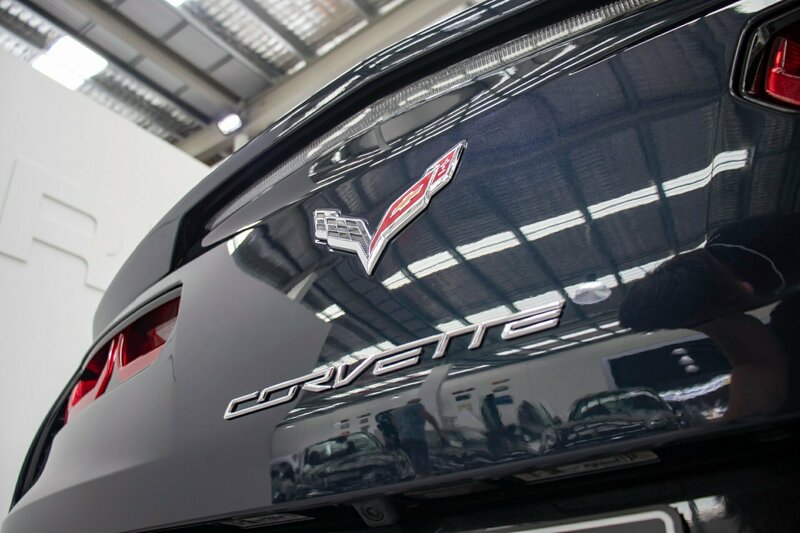 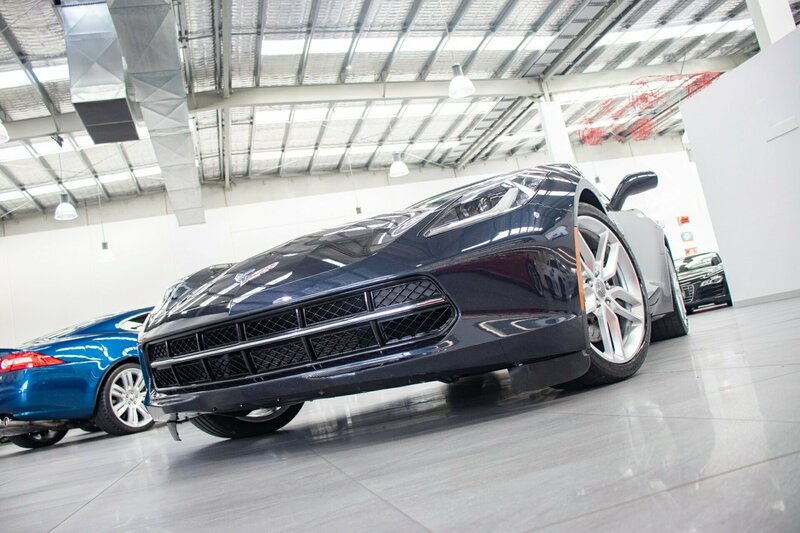 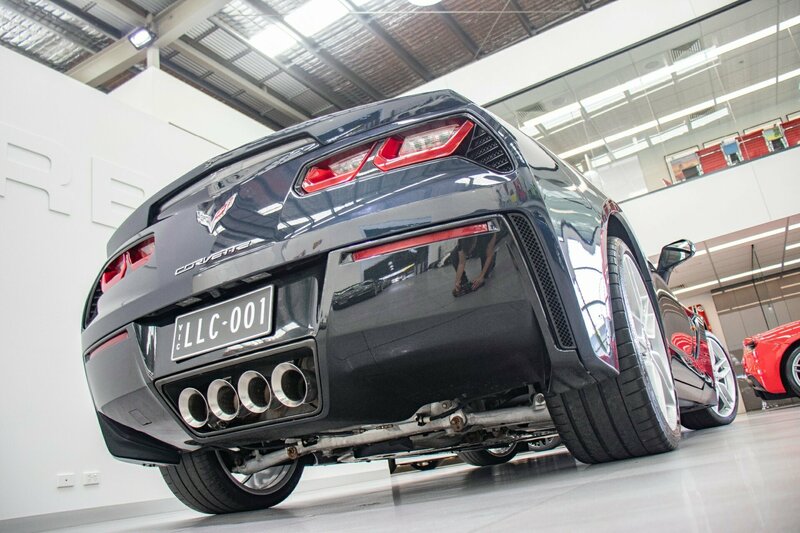 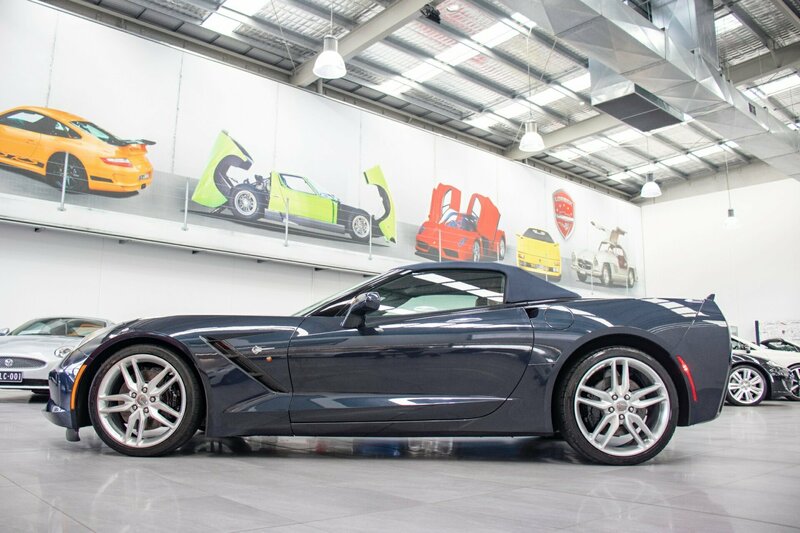 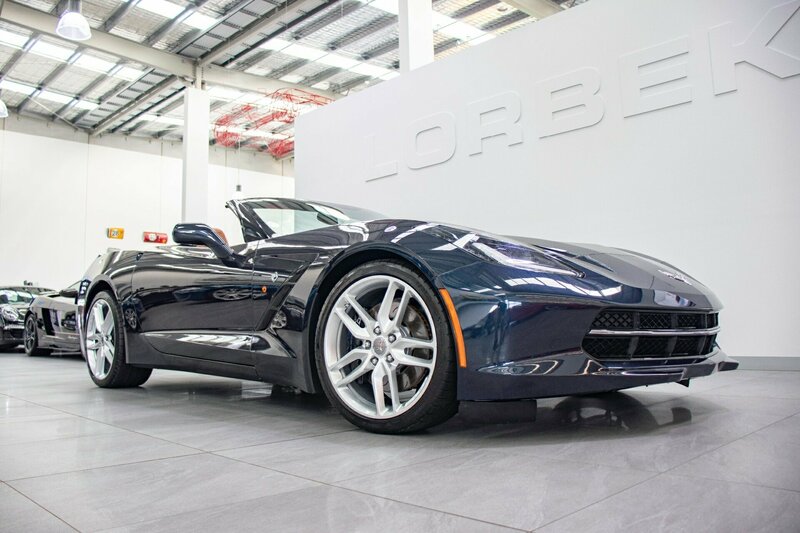 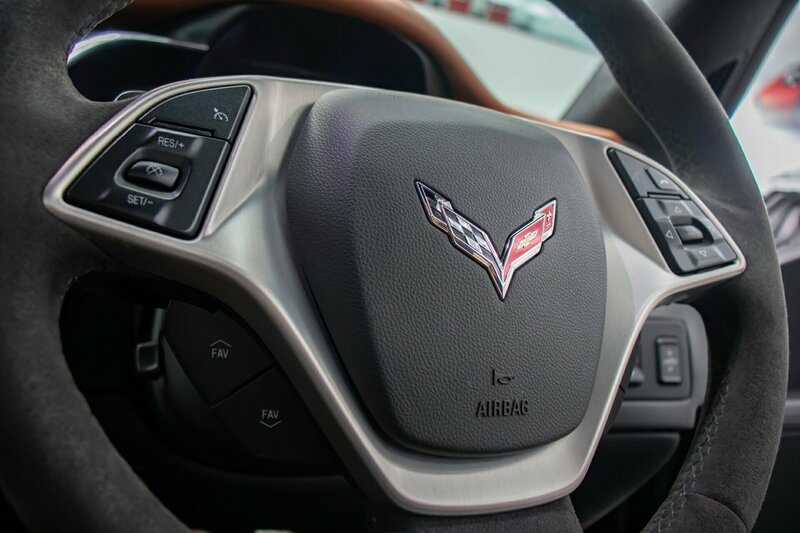 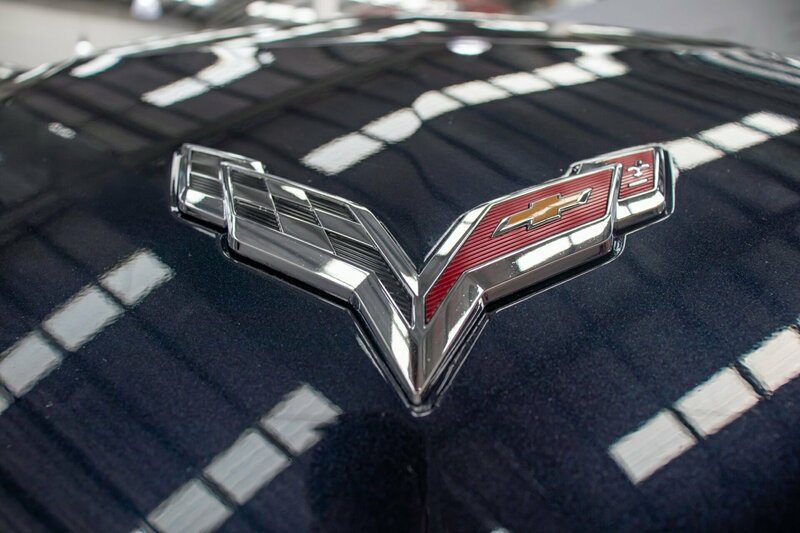 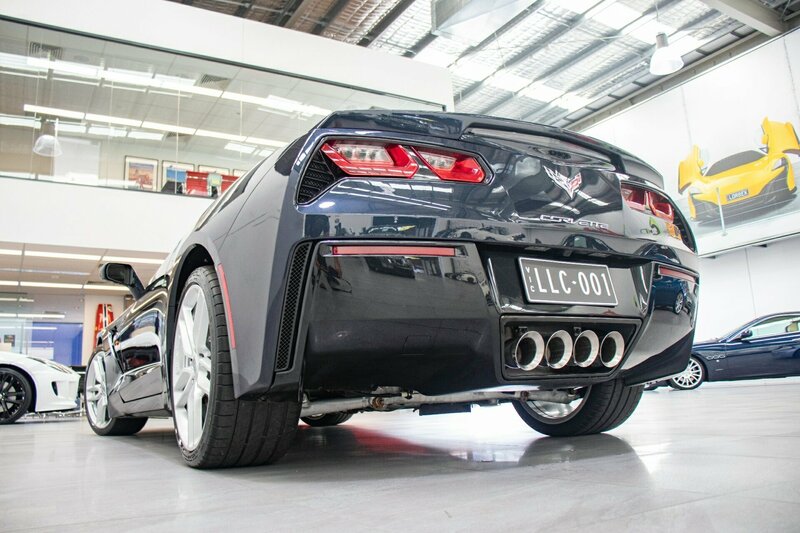 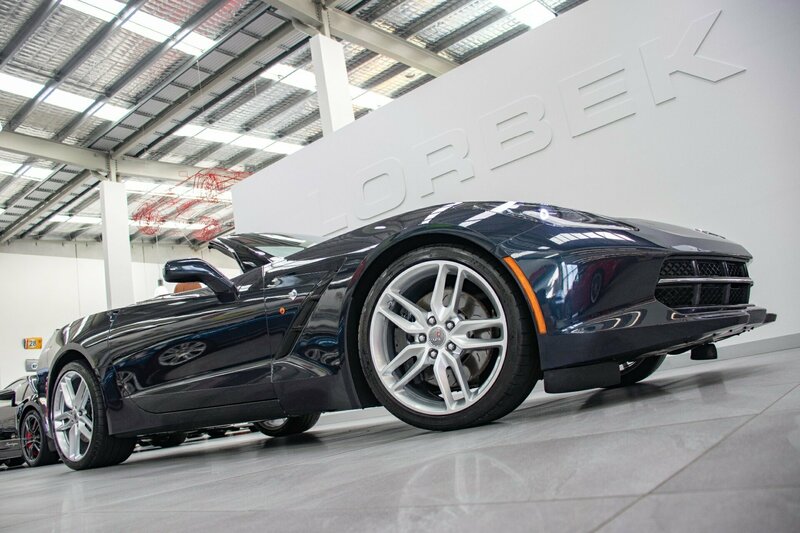 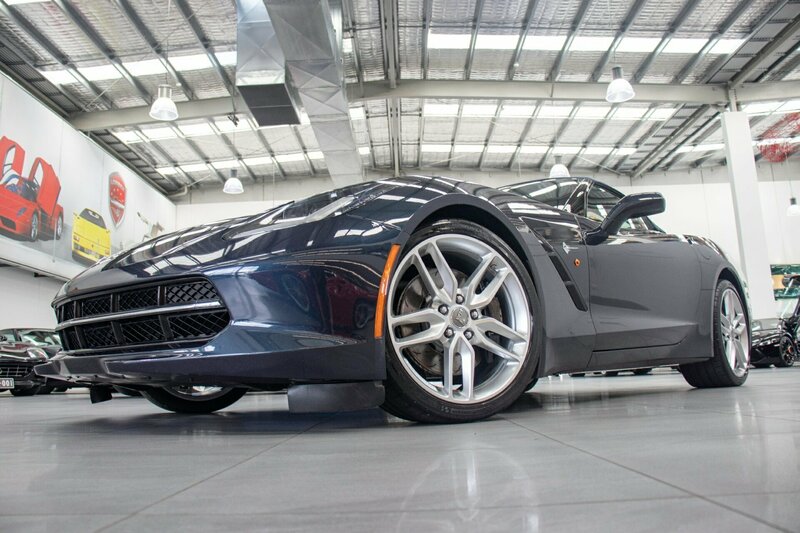 Cheapest Corvette Z51 convertible for sale in Australia and ready for immediate delivery. 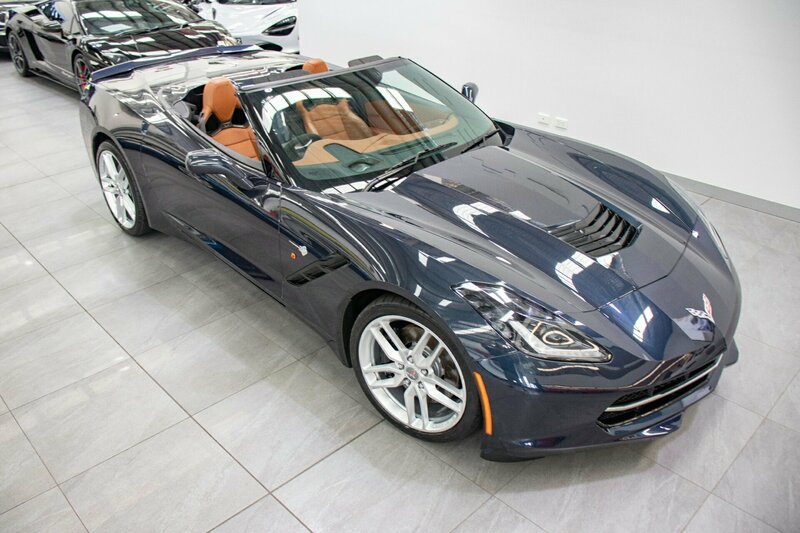 Finished in stunning Night Race Blue Metallic, HIGHLY DESIRABLE 3LT PREMIUM EQUIPMENT PACKAGE, distinctive blue convertible fabric roof, quad exhaust tips, striking Kalahari NAPPA leather interior with Competition Sport seats and sueded microfiber seat inserts, distinctive double stitching throughout, driver-focused interior layout. 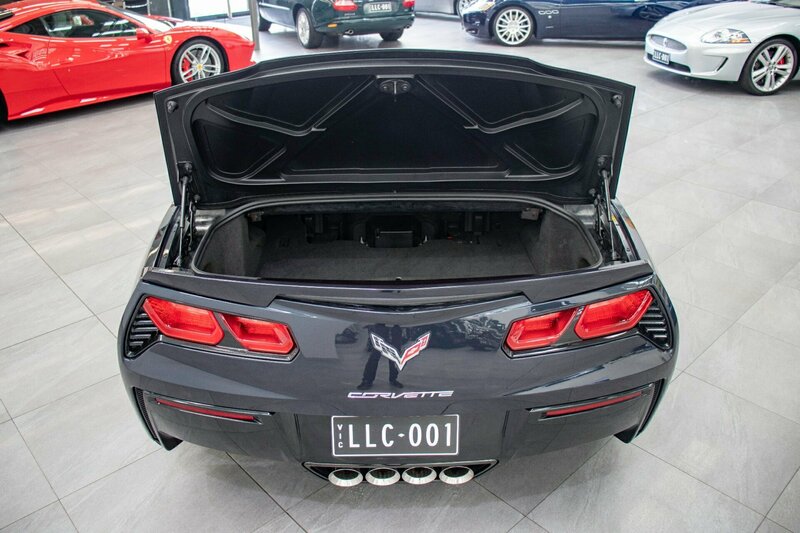 Full electrics, power everything, power windows and mirrors, air-conditioning climate control, BOTH HEATED and COOLED power multi-function competition sport seats with driver memory function, premium quality 10-speaker BOSE sound system, Corvette door sills, motorised hidden storage compartment behind digital infotainment display system, trip computer, race-inspired leather trimmed multi-function steering wheel with paddles that initiate Active Rev Matching, push-button start, Bluetooth streaming, selection of one of five distinct driver modes including Weather, Eco, Touring, Sport and Track modes, factory original Z51 Performance package available split 5-spoke aluminium wheels in chrome, many, many extras. 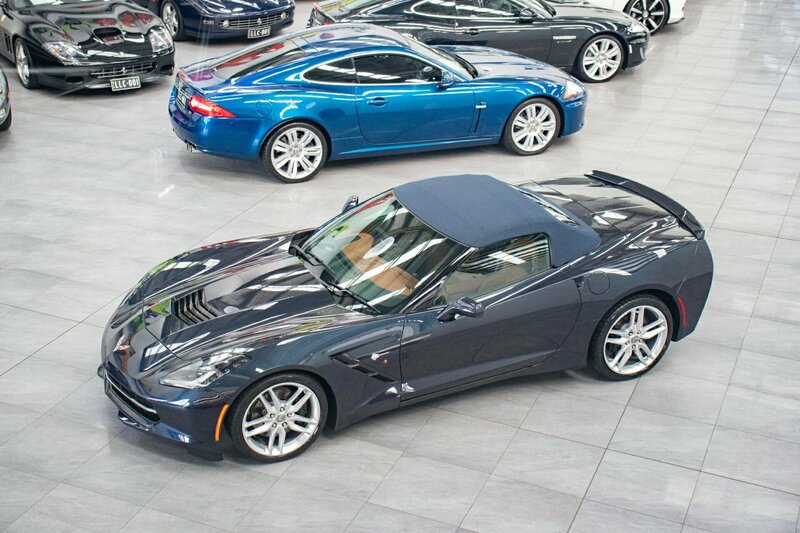 Complete Corvette new car books, Corvette warranty book, new car delivery books and both original issued new car keys. 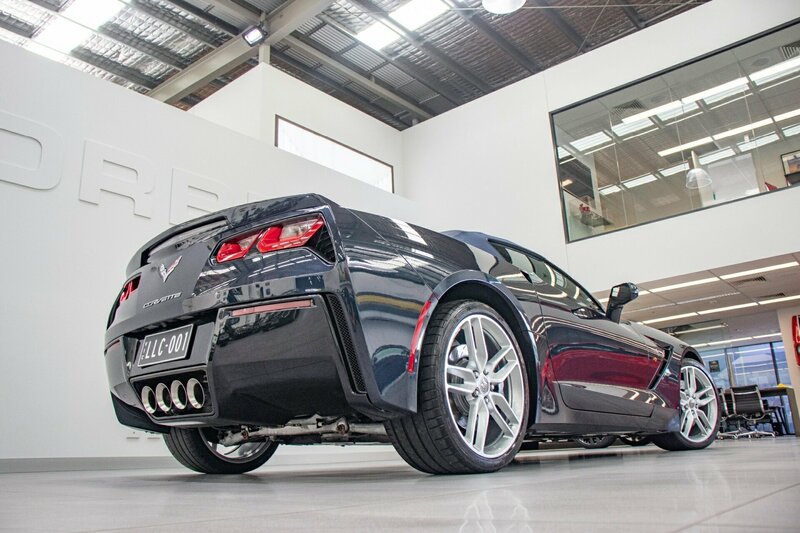 Valid for our national Australia wide 10-year warranty. 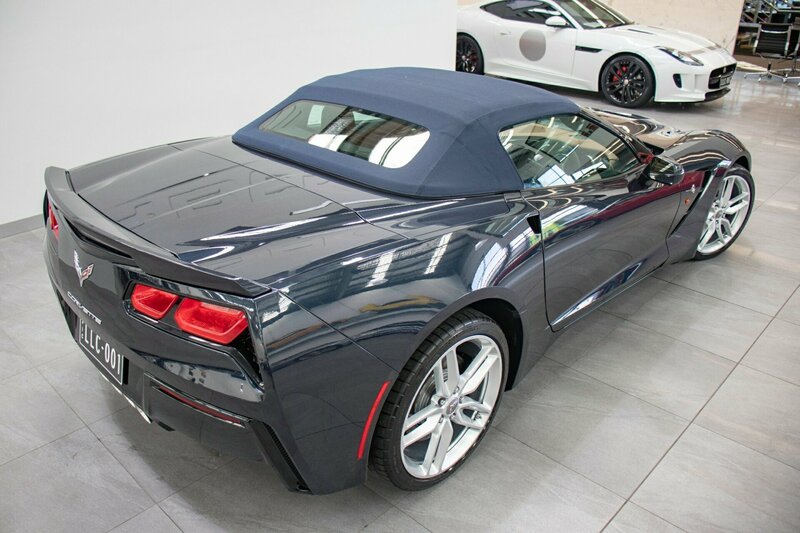 Absolutely stunning Corvette Stingray convertible looks and feels like a sports car should. 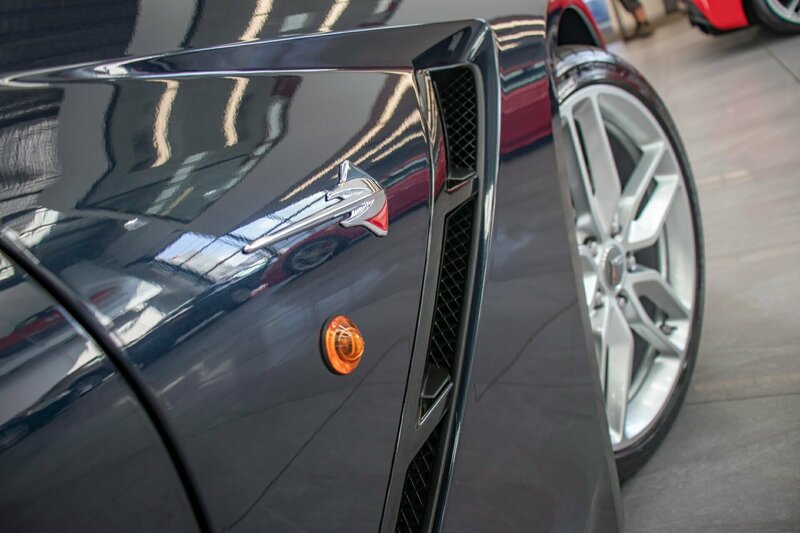 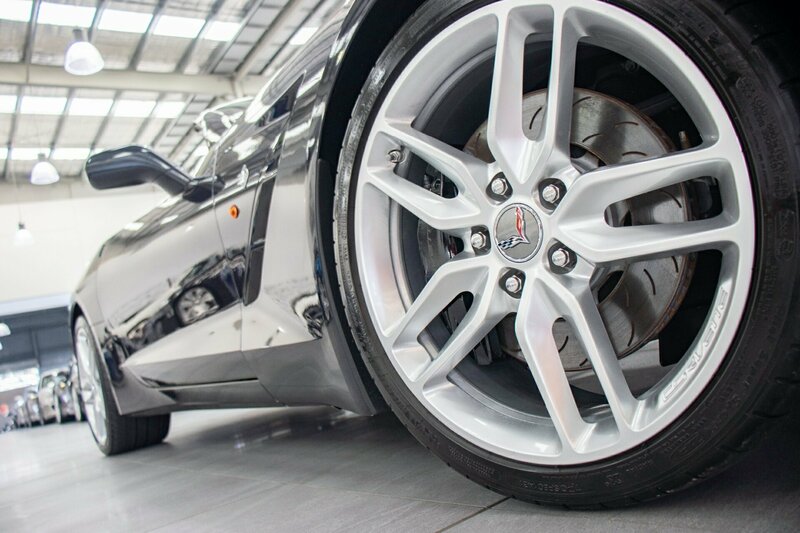 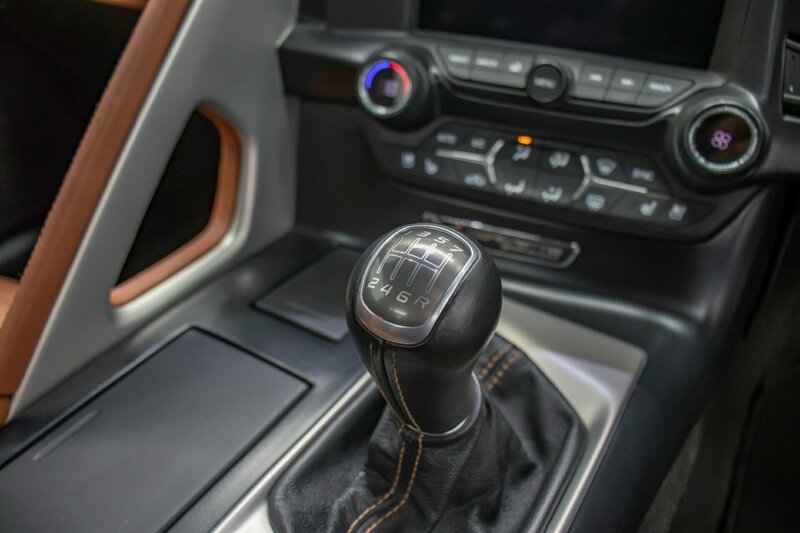 Sleek race-proven aerodynamics is seen throughout the design of the car giving it the menacing looks it deserves combined with a manual transmission making it the one to own. 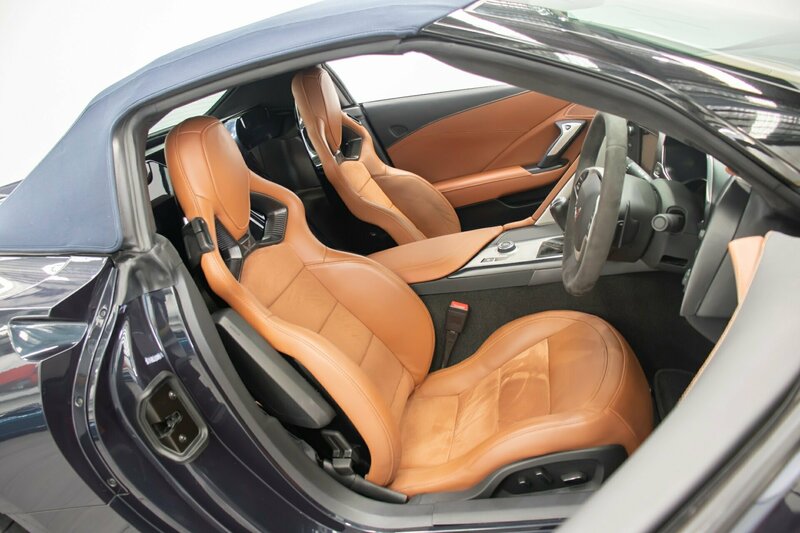 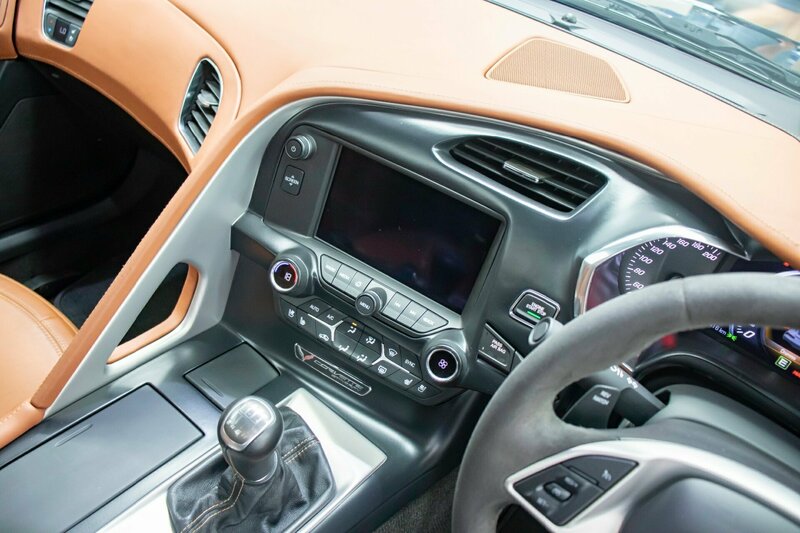 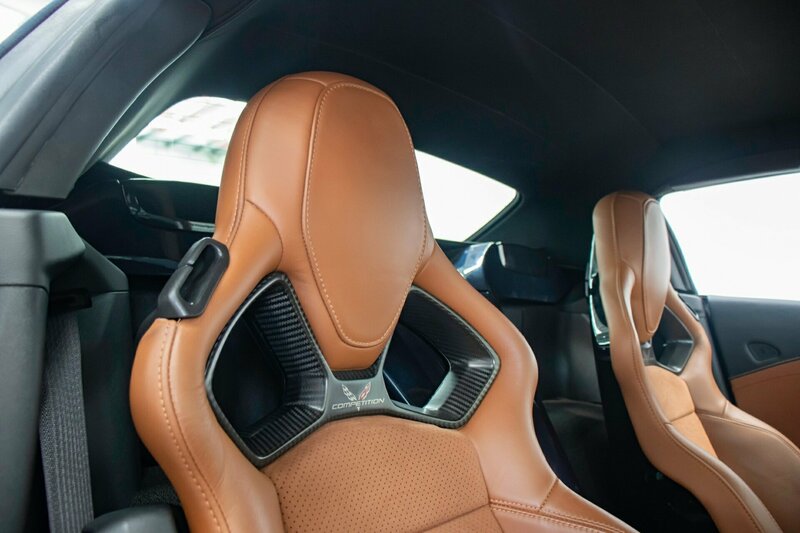 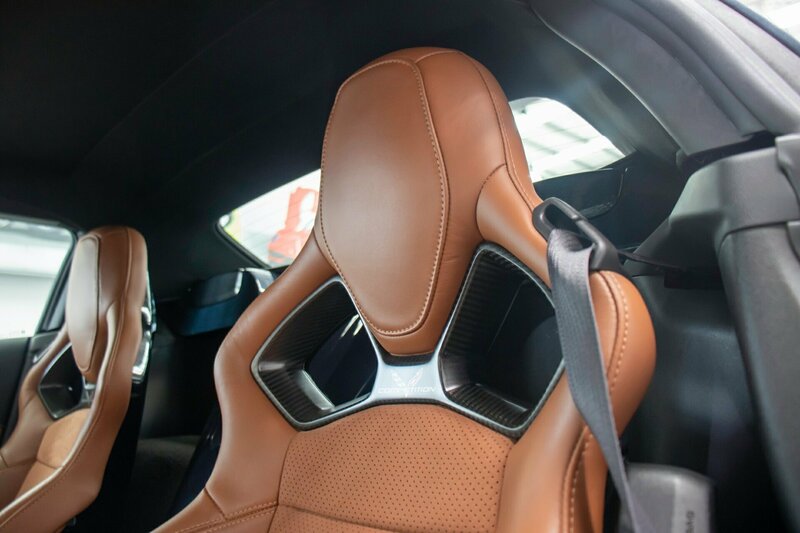 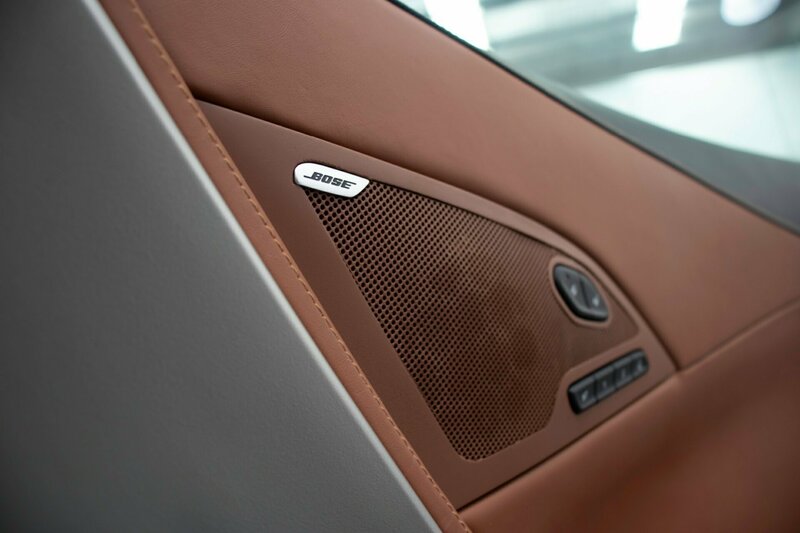 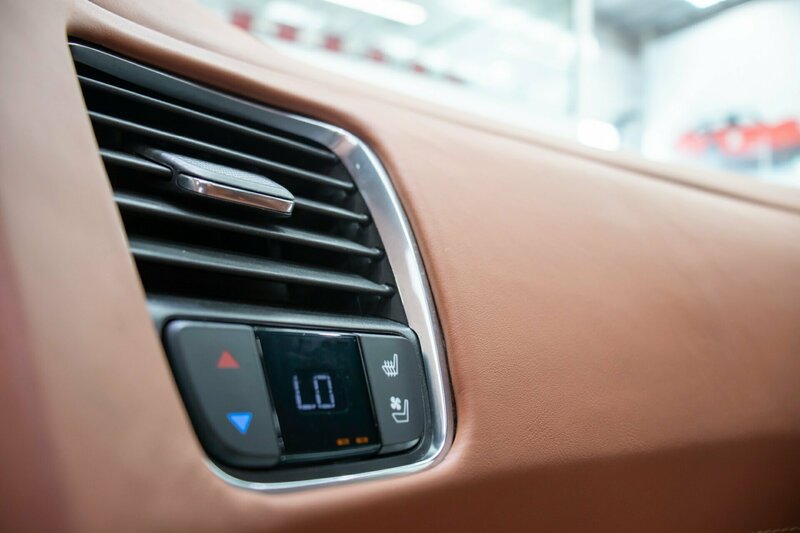 Driver-centric interior designed to engage the driver completely whether it be on the track or on the road. 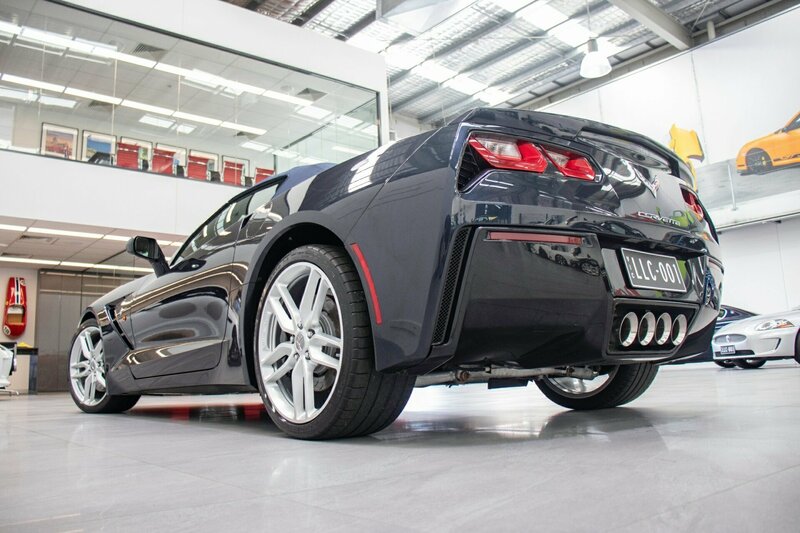 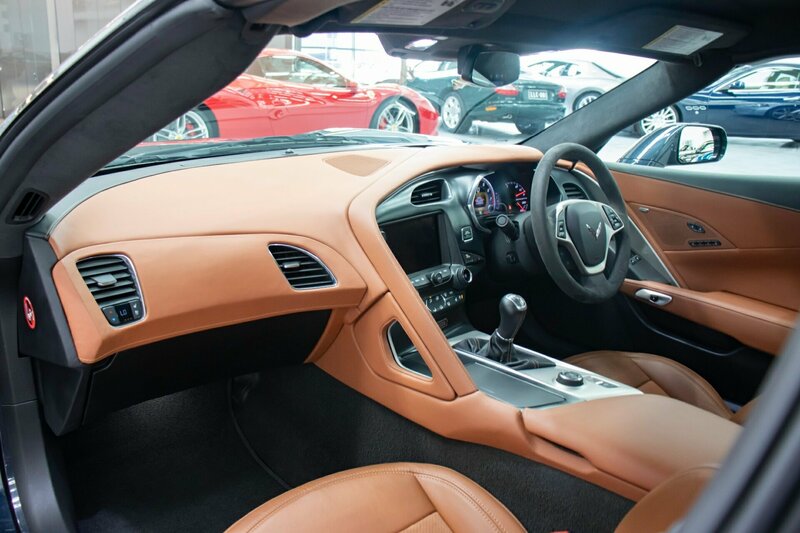 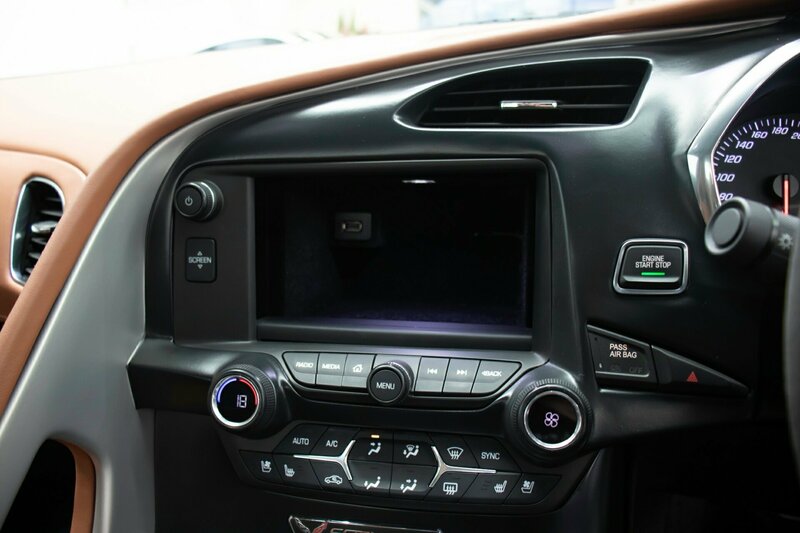 Virtually in brand new car condition and with a low substantiated 29,416kms for only $149,990.